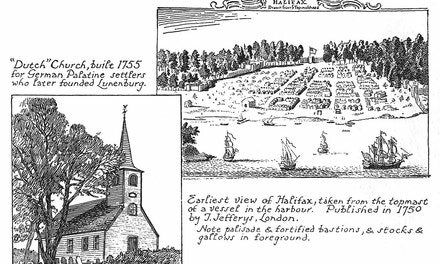 The founding of Halifax was an early experiment in town planning and assisted immigration. 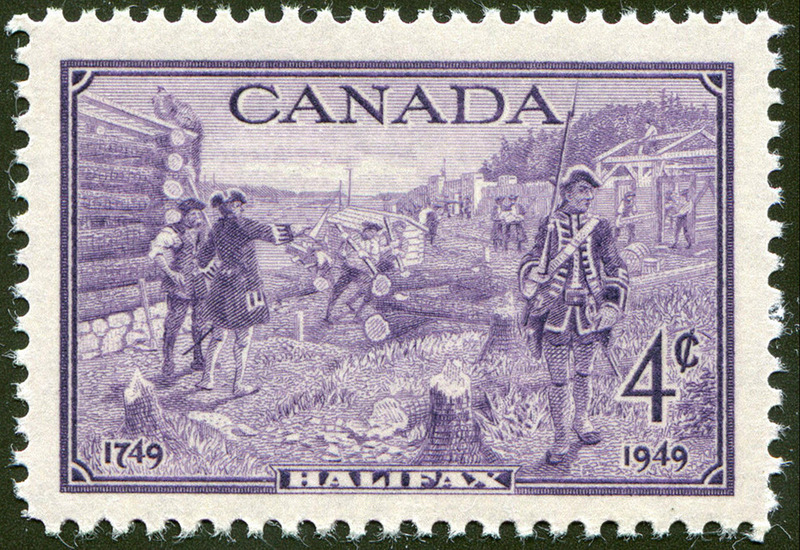 In 1749 the British Government decided to establish a settlement in Nova Scotia. Parliament voted forty thousand pounds to support the project, and the Lords of Trade and Plantations, the body which directed the colonies at that period, issued a proclamation inviting disbanded officers and men of the army and navy, artisans and agricultural workers to join the new settlement. Free passage and provisions for the voyage were to be given, subsistence for a year after landing would be provided, arms. ammunition and tools supplied, and the settlers were promised free grants of land and the privilege of civil government as in the other British colonies. Besides those immigrants drawn from the mother country, a number of Germans were recruited by an agent in Europe. Some 2,500 men, women and children were gathered, and early in the spring set sail for the land of promise. 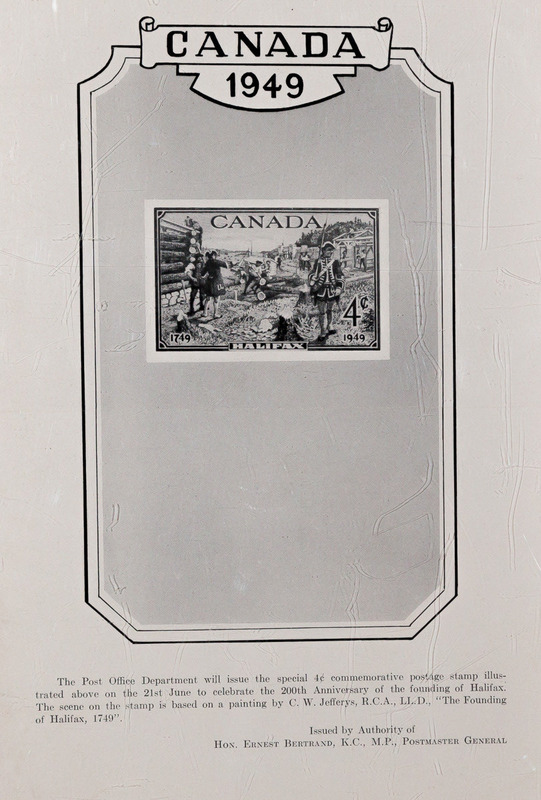 The territory to-day forming the province of Nova Scotia was then shared by Great Britain and France. By the Treaty of Utrecht, in 1713, France had surrendered Acadia, with the exception of Cape Breton, then called Isle Royale, and the present day Prince Edward Island, or Isle St. Jean. France gave up Acadia with great reluctance, for it guarded the approach by sea to Canada. But she hoped by the fortune of future war to win back this bulwark of her position in North America. With this end in view, the powerful fortress of Louisbourg was built at the south-eastern point of Cape Breton. In its sheltered harbour could be assembled a French fleet to block any British attempt on Canada by way of the Gulf of St. Lawrence. Before long, notwithstanding nominal peace, Louisbourg became the nest of a swarm of privateers which threatened to ruin the fisheries upon which New England depended. Years of dispute and encroachment on each side at last came to a head in open warfare in 1744. 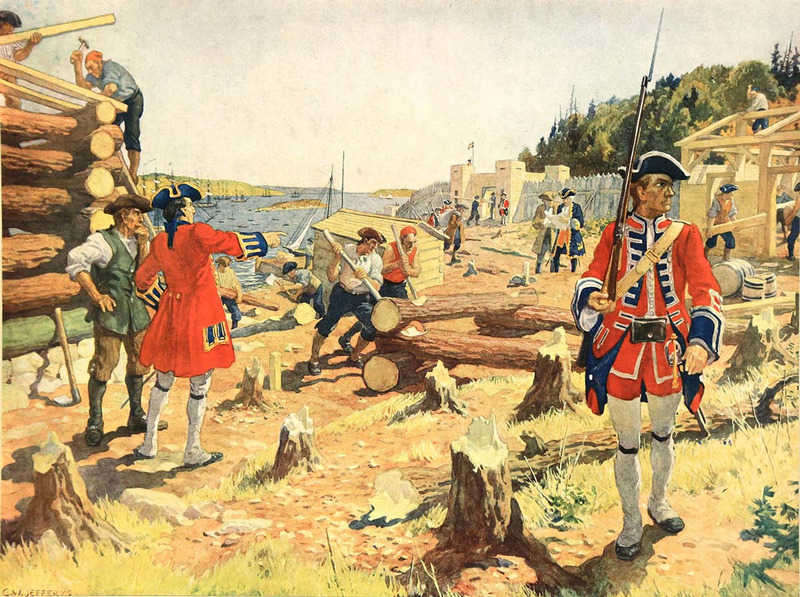 The following spring the New England colonies mustered an army of militia which with the aid of some ships of the British navy besieged and captured Louisbourg. It was an astonishing feat, and the downfall of the great fortress brought joy to the American colonists. But their triumph was short-lived. When peace put an end to the costly and indecisive conflict in 1748, each country agreed to give back what it had captured. Louisbourg was restored to France, to the indignation of the New Englanders who had done so much to achieve its conquest. Britain determined to strengthen her position in Nova Scotia. Though she had been in possession of Acadia for over thirty years, there had been little immigration from the mother country or the American colonies, and the bulk of population was French by race and by sympathy. 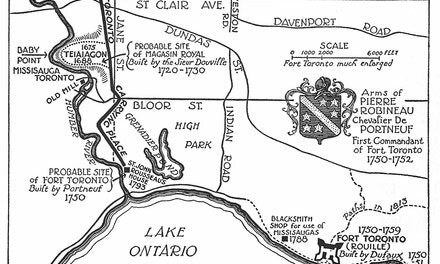 The province was to be peopled with English settlers, and a harbour for the fleet, capable of being fortified, had to be found. Southwest of Louisbourg, on the Atlantic coast lay the spacious harbour of Chebucto. Here the new settlement was to be planted to checkmate Louisbourg. The new Governor of the Colony was the Honourable Edward Cornwallis, a younger son of a noble family, thirty-seven years of age, who had served in the army and reached the rank of colonel, and had won a seat in the House of Commons. He was sensible, energetic, straightforward and honest. On the 21st of June, 1749, the sloop of war Sphinx, carrying Cornwallis and his staff, reached the harbour of Chebucto, several days ahead of the transports bearing the colonists. He went ashore at once to look over the ground. Next day he wrote to the Duke of Bedford, giving his first impressions of the place. "All the officers, " he says, "agree the harbour is the finest they have ever seen . . . the country is one continual wood, no clear spot to be heard of." Within a few days the transports began to arrive. On George's Island, tents and rude shelters were erected, and as many of the seat weary settlers as possible were camped on shore, while the men were set to the work of clearing the trees on the mainland. This was no easy task for the inexperienced immigrants, most of whom had never before swung an axe. The town plot was surveyed and Iaid out in squares, each containing sixteen lots, with streets fifty-five feet wide. The settlement was named Halifax, in honour of the Earl of Halifax, the president of the Board of Trade and Plantations. Cornwallis' difficulties were numerous. Not the least of them was the character of many of the immigrants. Writing in JuIy he says, "The number of industrious active men proper to undertake and carry on a new settlement is very small. Of soldiers there are only a hundred, of tradesmen, sailors and others able and willing to work, not above two hundred." The rest were idle and worthless persons, who embraced the opportunity to get provisions for a year without labor, or sailors who only wanted a passage to New England. Many were sick or unfit for settlers, many so poor that they were without shoes, stockings and shirts. All were ignorant of the methods of building log houses, and it was necessary to hire carpenters and woodsmen among the Acadians and in the neighbouring New England colonies, with their efficient American axes. Lumber and shingles were imported from Massachusetts for the barracks, officers' quarters and store houses. The demand for sawn lumber raised prices, and the shrewd New Englanders drove a highly profitable trade. Schooners from the colonies flocked to the harbour laden with timber and grain and fresh meat and great quantities of rum. It was a hard drinking age, and it is recorded that in addition to the liberal daily ration served out as a matter of course, ten thousand gallons of rum were consumed by the thirsty settlers between July and December. Desertions were frequent. Danger, too, threatened the colony. 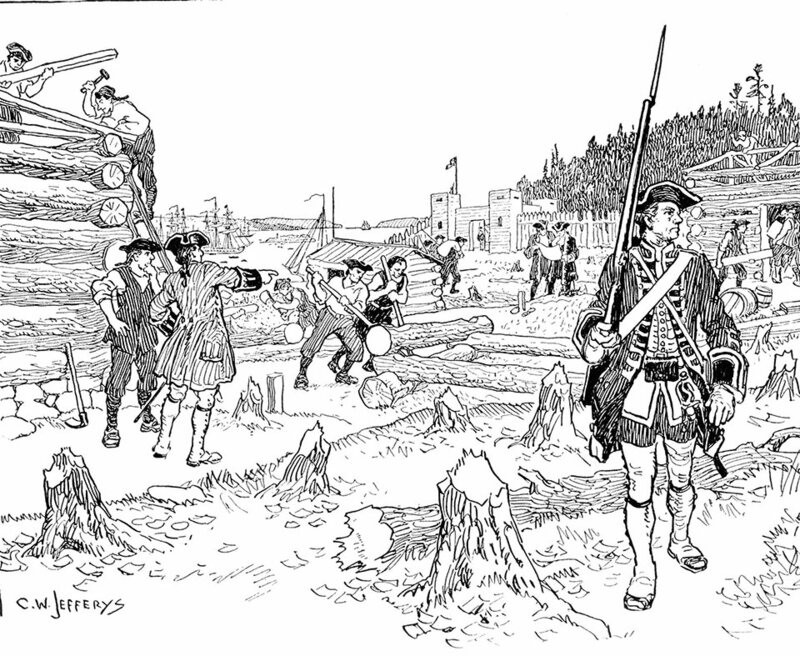 The Micmac Indians, allies of the French, saw with sullen disfavour the intrusion of the English on their territory. 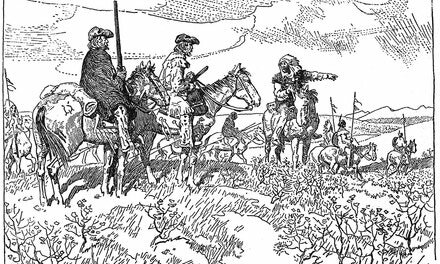 Scalping parties prowled in the settlement that they were planning an attack upon the town. French and English watched each other with jealous suspicion, for with so many interests clashing, the peace was felt to be only a temporary truce. The letters of Cornwallis reveal the characteristic eighteenth century Englishman's distrust of his Gallic neighbours. "The French have begun their usual game." . . . "lt is not easy to know the designs of these French," these are typical phrases. Late in July, two regiments from the English garrison at Louisbourg arrived. They were set to work at once, building a line of palisades. During these first months of the growing town's life the weather was beautifully clear and serene. Under the brilliant summer sunlight and amid the glowing colour of autumn foliage, Halifax must have presented a picturesque and stirring scene. Officers in scarlet and gold, sailors with their hair tied in tarry queues and wearing wide blue breeches and skirts, settlers, Acadians and Yankee traders in homespun, soldiers in red coats and stiff white pipe-clayed belts and gaiters crowded the rough stump-strewn streets, while the harbour was busy with boats coming and going between the transports and the shore, trading schooners sailing in and out, the building of wharves, the landing of settlers' families and the unloading of household goods, stores and provisions. By the middle of October, about three hundred and fifty houses had been covered in, the palisade had been carried all around the town, and two of the forts finished, the streets had all been marked out, and lamps to light them were ordered from Boston. The barracks for the troops, and a number of storehouses had been erected, and the residence of the Governor was completed. Here, on October 14th, Cornwallis assembled the council of the province. It consisted of five members, appointed by himself in July. Hitherto they had held their sessions on board one of the transports in the harbour; but with this first meeting at the Governor's house the corporate life of Halifax may be said to have begun. “Early Canada Historical Narratives -- The Loss of Louisbourg.” Accessed July 23, 2017. http://www.uppercanadahistory.ca/wm/wm1.html.